"Humana is transitioning to a value-based model that aligns incentives to health systems, like Health Choice, for improving the health and well-being of the member." 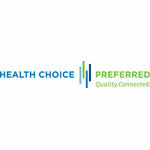 SALT LAKE CITY--(BUSINESS WIRE)--Health Choice Utah Preferred Network and Humana Inc. (NYSE: HUM), one of the country’s leading health and well-being companies, have announced a new Accountable Care agreement in Salt Lake, Davis, Weber and Utah counties. Humana’s Accountable Care Continuum is a pay-for-value system focused on promoting evidence-based, high-quality care, which can lead to improved medical member outcomes, a better customer experience and lower costs. Humana’s newest agreement is designed to serve the needs of Humana Medicare Advantage members based in the four Utah counties. The new Humana-Health Choice agreement includes value-based incentives tied to performance improvement and will bring better patient care coordination, more cost effective, quality care and a world-class patient experience to Humana members in Salt Lake City. The arrangement will offer more personalized care and a broad range of population management tools like, predictive analytics and chronic care, disease management and wellness programs. The value-based arrangement also emphasizes quality outcomes with a focus on care coordination and leverages measures as defined by the National Committee for Quality Assurance (NCQA) Healthcare Effectiveness Data and Information Set (HEDIS) such as diabetes care and treatment, breast cancer screenings, colorectal cancer screenings and high-risk medication. Health Choice, a division of IASIS Healthcare, is a provider-owned, managed care organization and insurer delivering robust healthcare services with innovative medical management programs to its members through its health plans, integrated delivery systems and managed care solutions. Currently, Health Choice’s network includes more than 30,000 high-quality physicians and providers rendering healthcare services to more than 315,000 members in Arizona, Utah, and Florida. As part of IASIS Healthcare’s strategy of engaging in population health management and coordinated care, Health Choice’s managed care personnel operate in collaboration with IASIS’ acute care hospitals and local physicians in certain markets to build innovative provider networks, including Health Choice Utah Preferred Network in the Salt Lake City, Utah area. These networks, operating under the Health Choice Preferred brand, allow physicians and hospitals to work closely to manage patient care and engage in innovative contracts with health insurers that reward providers for high-quality, cost-efficient performance. For more information, visit HealthChoiceArizona.com, HealthChoiceEssential.com, HealthChoiceGenerations.com, HealthChoiceUtah.com and HealthChoicePreferred.com.